I hope you are off to a great school year! I have been overwhelmed with a new reading program this year that has really taken up a majority of my free time so far! I have been wanting to pop in and share some activities I do in my classroom for vocabulary practice. Years ago I stumbled upon a blogpost from one of my favorites, Amanda from One Extra Degree. She used a plastic Mystery Hat from Learning Resources to engage her students during vocabulary practice. I looked for that original post and couldn't find it, but I did find this post from her. I wanted to provide you with a link for the hat, but apparently it has been discontinued! Any magician's hat will do, though, and I found a few fun things that might work from Amazon HERE. (I think I need to grab a real magic wand!) You also might have luck at a Halloween costume store, since Halloween is right around the corner. I call my hat a Magic Hat. I dramatically wave my wand above the hat, and call students to come up one at a time and reach in and pull a vocabulary word out of the hat. They have to give the meaning of the word and relate it to the story we are reading in their own words, and use it correctly in a 7-up sentence. We also talk about the part of speech and synonyms and antonyms that are associated with each word. It's a simple activity, but there's something about pulling the cards from the hat that turns it into pure magic. The students are captivated and engaged, and that's exactly what I need them to be! If you would like to try using these magician's cards in your own classroom, just click on the photo above to download your own set that you can edit and use however you like. 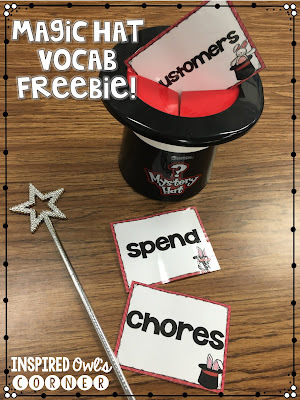 I will be sharing a few other vocabulary ideas and freebies in the next few weeks, so be sure to check back. Don't forget to sign up for Primary Picks Newsletter below. 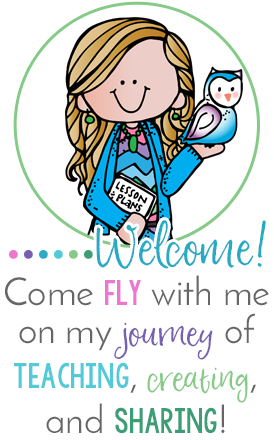 We send out lots of freebies and ideas each month!